If you’re a Windows 7 or 8.1 user, you may have noticed a new icon turn up in your system tray this morning in the shape of the Windows logo. Click on it, and you’ll be offered the chance to ‘reserve’ a free upgrade to Windows 10. Accept, and when release day comes you’ll be automatically updated to Microsoft’s brave new operating system. 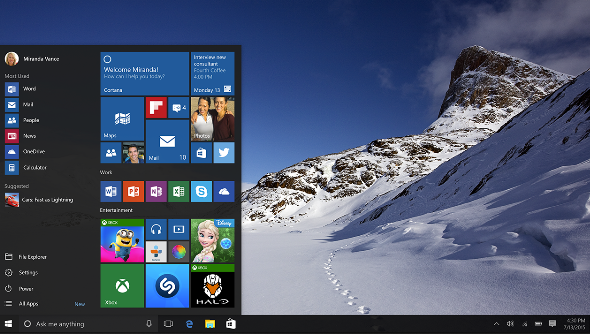 The release day is July 29th, and Windows 10 will suddenly be available for PCs and tablets. For gamers, Windows 10 offers the integrated Xbox App, which brings the features of Xbox Live to PCs. “Xbox on Windows 10 brings the expansive Xbox Live gaming network to both Windows 10 PCs and tablets. Communicate with your friends on Windows 10 PCs and Xbox One – while playing any PC game,” says Microsoft. Thanks, Ars Technica and Videogamer.